Outside near the entrance was an Airstream trailer that the Rhinestone Gypsie's Vagabond Boutique started out in. 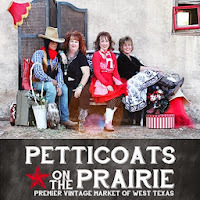 These ladies offer a wide variety of on-trend clothing in sizes small to 3X which is pretty rare. They offer a number of Texas-based artisans' jewelry, art & other treasures. It's so wonderful to see women entrepreneurs helping out other female business owners! 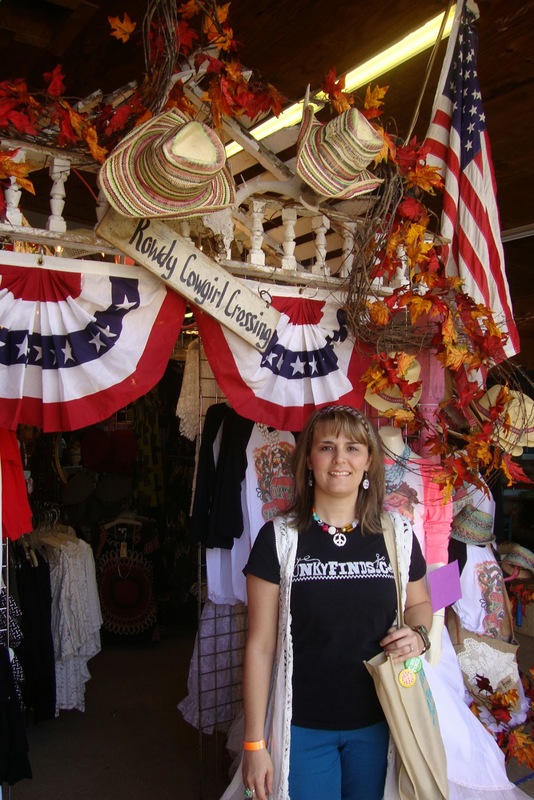 They have two store-front locations in Texas (Merkel and Abilene), but also sell online through their website & Facebook. Joe & I were both drawn to Old Sole Boot Company. They offer high-quality vintage boots for both men & women & there were some real beauties for sale! We also loved the hand-crafted custom furniture offered by Canon's Custom Furniture. Cody Canon is a real talent when it comes to hand-crafting gorgeous sturdy pieces. Basement Creations, featuring unique jewelry & accessories, had a great set up. I loved her bright creations & really appreciated that everything was displayed in such a way that it was easy to view each piece. 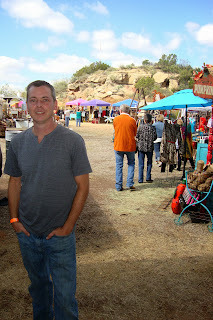 I also loved the beautiful children's goods created by Espee Trading Co. out of Midland, Texas. The luxury nap mats looked so comfy & I LOVED the quilted bronc! Texas Trash and Treasures was also a definite funky find. This couple's whimsical art pieces looked to be a hit with many customers. And I couldn't resist purchasing the Monkey Farts soap by Made to Lather! If we had to pick our favorites though, Joe's would definitely be In a Pickle Foods based out of Fort Worth. 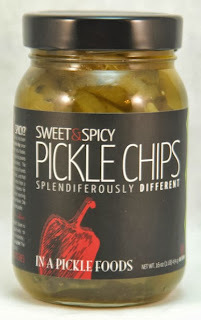 I don't know how we haven't come across these delectable treats before, but thankfully we discovered them at Petticoats! I was busy shopping at the booth next to In a Pickle so I didn't get to sample all the goodies, but Joe purchased the Sweet & Spicy Pickle Chips and the Bread & Butter Pickle Chips. Both are DELICIOUS!!! Joe has been rationing them out & is already talking about getting more! While Joe was taste testing 'til his heart was content, I was sniffing away at the Screen Door Vintage booth. 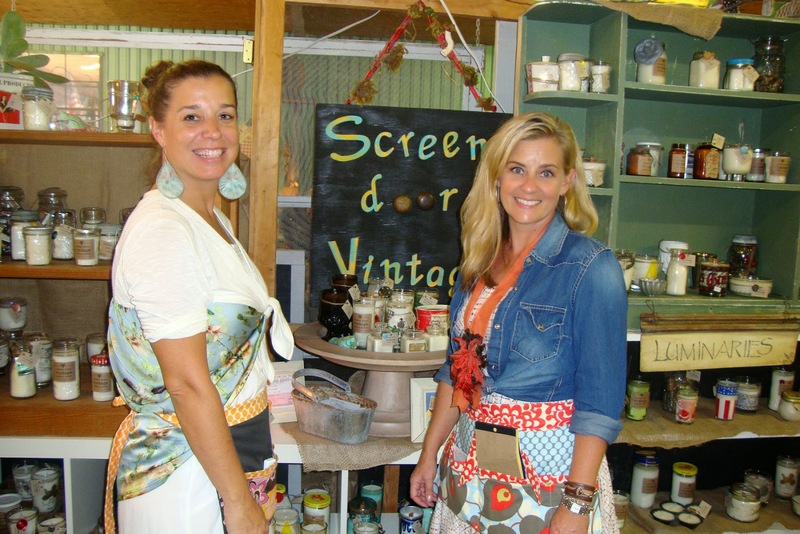 Austin-based friends Charity & Jen (pictured) offer a wide variety of scented candles in various vintage containers. I loved their products because, hey, everyone loves a candle, right? And also because once the candle is used up, you are left with an adorable vintage container that can be repurposed. The duo had created a special scent aptly named Colorado City that smelled like Autumn which I loved! Screen Door Vintage also has a Facebook page with more info & photos. 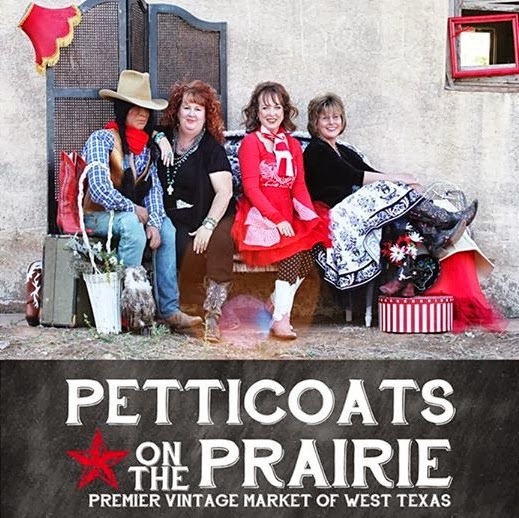 Thank you to the wonderful event organizers & all the talented vendors who set up at Petticoats on the Prairie! We had a delightful time in West Texas!!! There's a chance you qualify for a new solar energy rebate program. Click here and find out if you're qualified now!